The issue will be addressed at the current session. 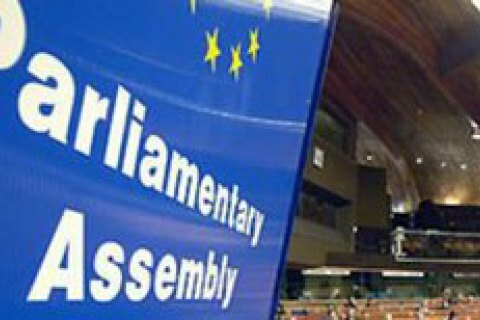 The President of the Parliamentary Assembly of the Council of Europe Pedro Agramunt insists that the Assembly should do whatever is takes to return the representatives of Russia, who left the PACE amid sanctions, to the plenary hall. "The situation when Russia is not in the Assembly, no one benefit - neither Russia nor the Assembly or one of the other 46 countries," Agramunt said as he opened the autumn session of PACE. He also complained about the resistance of "certain forces", which do not consider it possible to remove the restrictions of the representatives of the Russian Federation. "You know that I have taken steps to restore relations with Russia. I did it openly, notifying the group leaders. I have often seen that certain groups hinder the dialogue, but we must move on. The exclusion of anyone from our discussion does not help progress," he said. Agramunt stressed that he would continue to work on the return of Russia to the PACE, and urged other politicians to support it. "We have agreed that the leaders of the political groups to discuss the situation. I would like us all to discuss this issue," he said, noting that the talk about violations by the Russian Federation should go on, but this dialogue "must not undermine our principles." The Ambassador of Ukraine to the Council of Europe Dmytro Kuleba said that the current session of PACE will decide, whether this body remains among the most influential European institutions or become a "talking shop". "For Russians, the situation is unfavorable, but their guile and the cunning of their friends should not be underestimated," he wrote in a comment in his Twitter. The Vice-Speaker of the Verkhovna Rada, Iryna Herashchenko, in turn, urged the superiors to assess Argamonta statements. According to her, such statements in the first place are not going to benefit the head of the Assembly. "He never uttered a word like "Donbass ", did not even mention the implementation of the Minsk agreements. He somehow in general terms concluded that 'The purpose of the dialogue between the 47 countries must not undermine our values. One cannot change the borders and territorial integrity of other countries. The conflict in Ukraine and the illegal annexation of Crimea is unacceptable…'. He never specified which country has violated the territorial integrity of Ukraine and has stolen Crimea," Herashchenko wrote on Facebook. The Russian delegation was deprived of the right to vote and expelled from the governing bodies of the PACE in April 2014, after Russia annexed the Ukrainian Crimea. In January, the Russian delegation refused to participate in the PACE winter session, after which its authority has been cancelled for the entire year 2016.